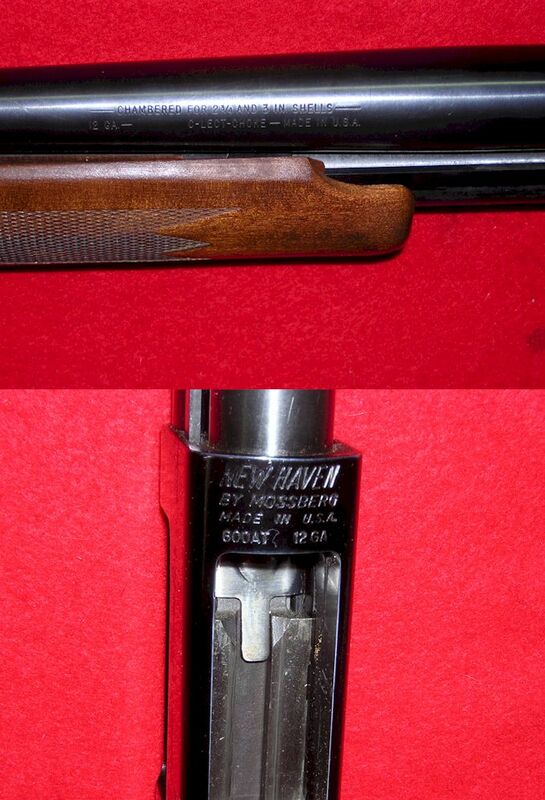 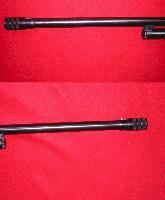 An almost new Mossberg New Haven pump shotgun in 12 gauge. 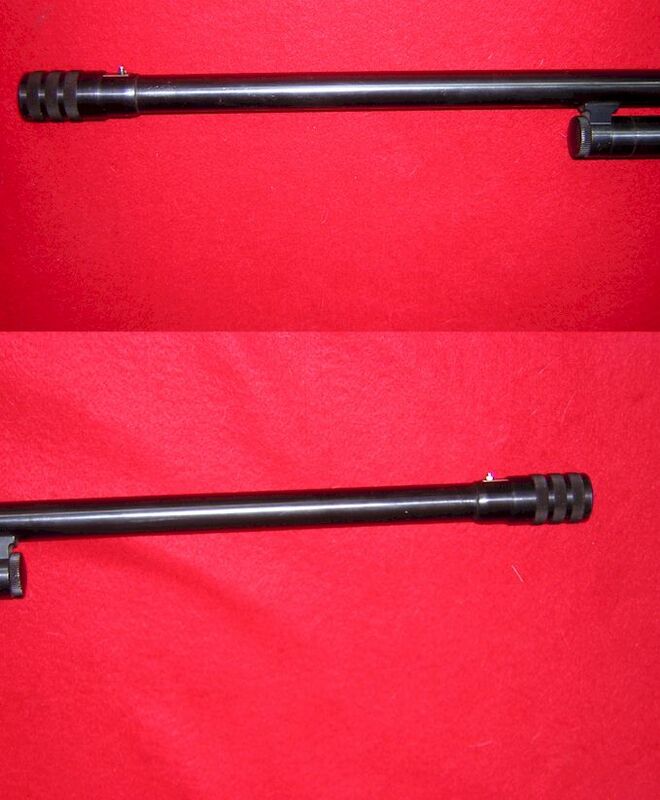 The gun is a Model 600AT Premium Hunter, with a 20 inch barrel and a poly choke. 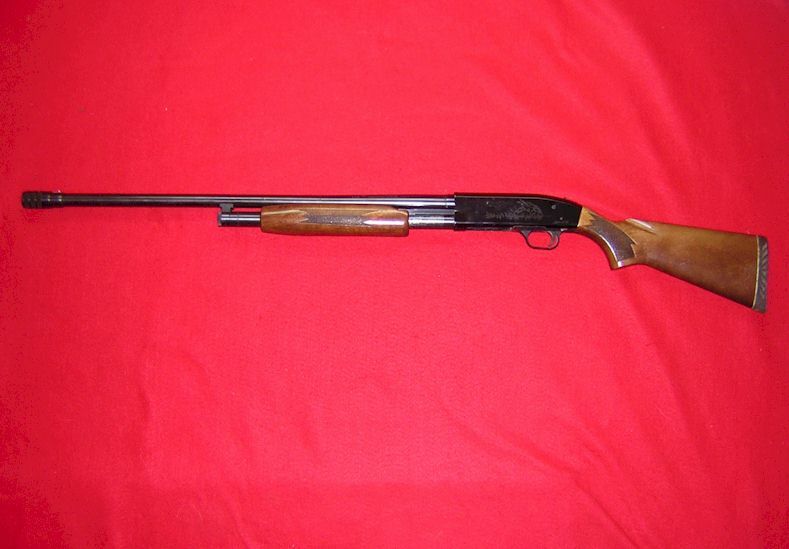 This shotgun shoots 2 3/4 and 3 inch shotgun shells. 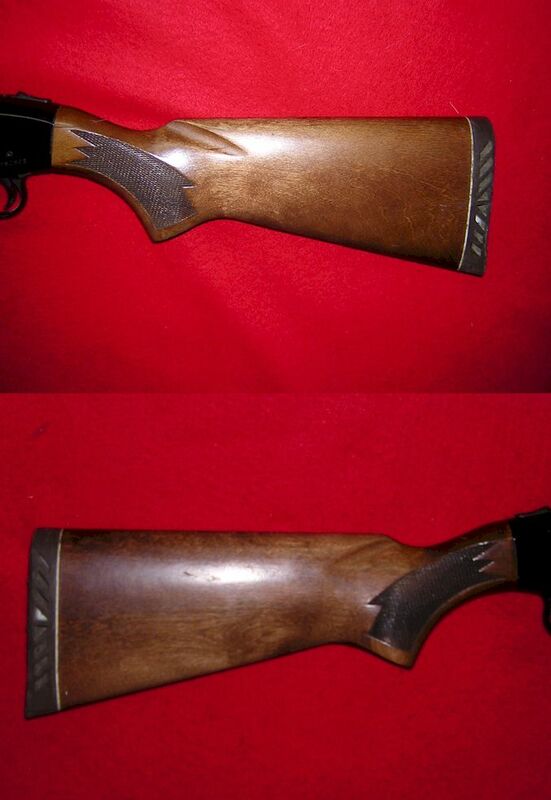 Metal with 99 percent bluing and wood also in excellent condition with one small ding on tang. 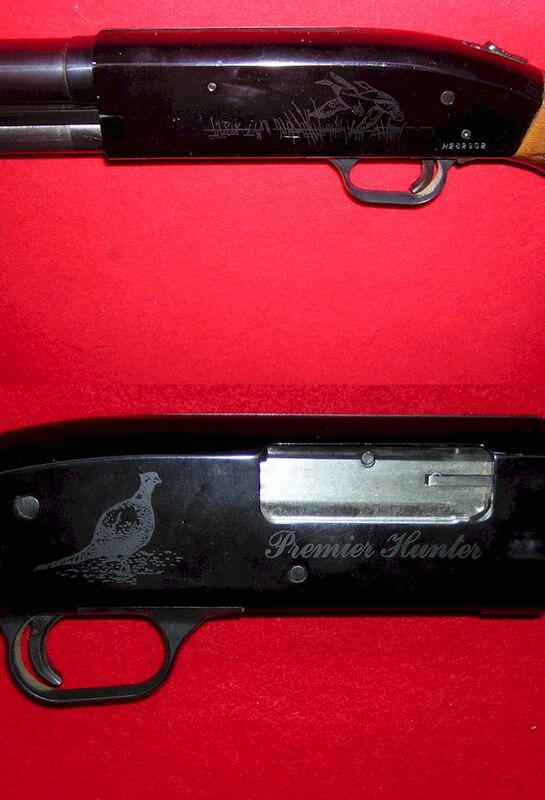 Phesant and a duck scenes are etched on receiver sides. 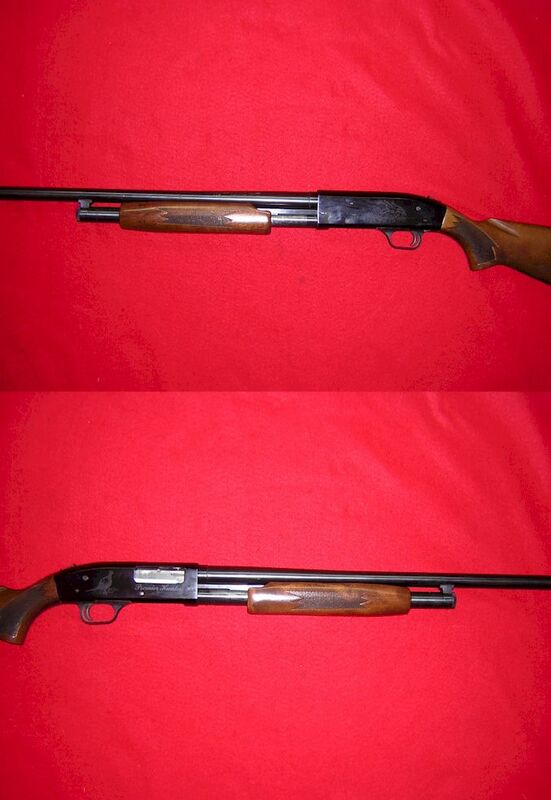 A very nice Mossberg shotgun at a reasonable price.